In one of the northernmost reaches of Michigan’s Upper Peninsula, in Ontonagon County near the Lake Superior shoreline, lies a tiny unincorporated community called Ewen. This small corner of the U.P. was originally home to William and Signe Gerber, parents of Sister Irma Gerber. Ewen started out in the late 1880s as a logging camp, and it was as a logger that William worked until not long after he and Signe married. Signe, for her part, was a secretary for a judge in L’Anse, in nearby Baraga County. Drawn by the lure of a good-paying job in the nascent automobile industry, the couple and their two oldest children, Bert and Kay, moved to Flint, where George worked for the Durant Motor Company and where Elizabeth (the future Sister Mary Irma) was born on April 30, 1921. When the Durant Company dissolved, the family moved to Detroit and William went to work for the Chevy Gear and Axle plant in Hamtramck. The Gerbers lived nearby, on the west side of Detroit, and attended the new St. Theresa’s Parish. In time, nine children in all came into the family; after Bert, Kay, and Elizabeth, there were William, Benjamin, Dolores, Margaret, and twins Carol and George. Janet Huvaere was born to Leon and Mary Huvaere on October 11, 1938 in Grosse Pointe, Michigan. She attended St. Ambrose School and graduated from St. Ambrose High School. When she was a teen, Janet suffered the loss of her only sibling, Shirley, who died at 21 of a heart aliment. This loss had a profound effect on Janet. After high school, Janet worked at Bon Secours Hospital before entering the Adrian Dominican Congregation. 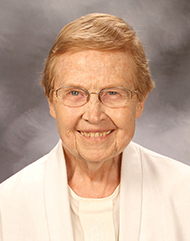 After two years, she left the Congregation and finished her degree at Siena Heights College (now University) in 1961. 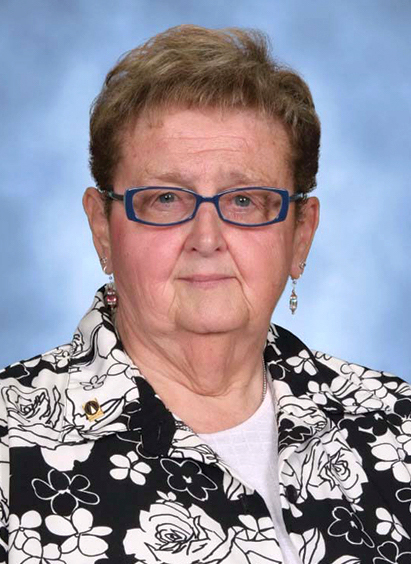 Soon thereafter, Janet was hired by St. Jude School in Detroit, where she taught third, fifth, and sixth grades for 39 years. She retired from teaching in 2000, but kept in contact with several former students and attended reunions. At her wake and funeral, several of her former students remembered her as a kind, gentle, yet demanding teacher. 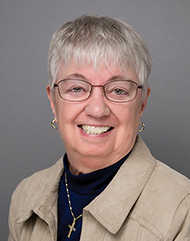 After teaching, Janet served as a secretary to St. Francis Parish in New Haven, Michigan, from which she retired eight years ago. Janet was never far from her Adrian Dominican roots. She enthusiastically joined Associate Life in 1992, and has participated in the Reaching Out Mission Group ever since. 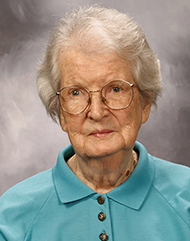 She attended Assemblies and gathered with Associates each month at the Roseville Book Club. A very generous woman, Jan dedicated her entire life to the Church through her teaching and volunteering, assisting whenever needed. She loved to read, do puzzles and organize. Although she never married nor had children, she was a beloved member of several families. Janet died unexpectedly but peacefully on July 6, 2018 in her home. She now rests with her beloved parents and her sister. Janet’s funeral was celebrated on July 13, 2018 at St. Isidore Parish in Macomb, Michigan, due to the remodeling of her home parish of St. Louis in Clinton Township. Her pastor, Father Lawrence (Larry) Pettke of St. Louis Parish, was the con-celebrant. Members of her Mission Group were present, as well as several other Sisters and Associates. True to form, Jan had chosen the readings and hymns for her funeral. Her choices reflected her faith and her love for God. Father Ronald Victor, the homilist, spoke of her gentleness, her advocacy for children, and her many dedicated years of service to the Church. During the Presentation of the Gifts, family and friends brought forward symbols of Jan’s life, including a small blackboard, a book, an angel, and the Adrian Dominican logo. In that first reading today, St. Paul exhorts the Colossians, and exhorts us, to clothe ourselves in Christian virtues. 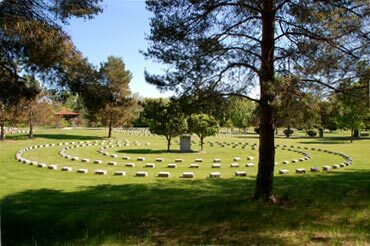 So many of them, as they were listed there, remind us of Therese. And at the end, he says “give thanks to God the Father,” and we do that in this funeral liturgy in a very unique way for the many, many ways we have experienced the presence and the love of God, the goodness of God, in her long life and ministry. I am so very grateful. So spoke Father John “Jed” Patrick, who worked for many years with Sister Therese Reynolds at All Saints Parish in Gladstone, Michigan, in his homily as he concelebrated Therese's funeral Mass on July 13, 2018. Sister Therese spent eighteen years, many of them alongside Father Patrick, at All Saints as its coordinator of music and liturgy, and in his homily Father Patrick remembered her for her respect of other people and their gifts; for her encouraging way, contagious smile, and positive attitude; and as someone who greatly loved her Adrian Dominican community and treasured the support and connection her Sisters gave her.